It is unlikely that anyone who has more than a passing interest in Bluegrass will have missed that the IBMA World of Bluegrass will be taking place in Raleigh, North Carolina from September 29th to October 4th. As well as the many established artists performing at Wide Open Bluegrass and the Bluegrass Ramble, ten bands of young musicians have been invited to play on the Wide Open Bluegrass Youth Stage; the full list can be found on the IBMA website. Amongst the bands invited to play on the Youth Stage is just one non-US band – Cup O’Joe from County Armagh in Northern Ireland. 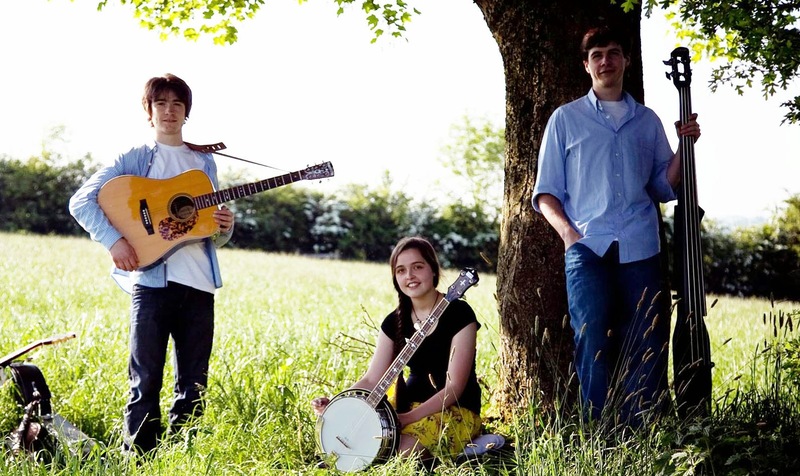 Cup O’Joe is a family band comprising Reuben Agnew on guitar and mandolin, Tabitha Agnew on banjo and fiddle and Benjamin Agnew on upright bass with all three sharing vocal duties. The band plays a mix of Bluegrass and Gypsy Jazz and their debut album ‘Rough Terrain’ is an eclectic mix of familiar songs such as ‘Darlin’ Corey’ and ‘Wild Bill Jones’ to ‘Johnny Has Gone For A Soldier’ and ‘Bei Mir Bist Du Schoen’ (once recorded by the Andrews Sisters). The band said: “We are really looking forward to getting out there, meeting musicians from all over and seeing our friends that we have made within the past few years”. They have plans to record new material in the near future but are concentrating on balancing their education along with seeking to play music to as many audiences as possible and wherever possible.